William Dana Orcutt (1870-1953) was an American book designer, typeface designer, historian, and author. Orcutt authored books in a variety of genres ranging from novels to historical fiction, biography, and writing advice. William Dana Orcutt is currently considered a "single author." If one or more works are by a distinct, homonymous authors, go ahead and split the author. 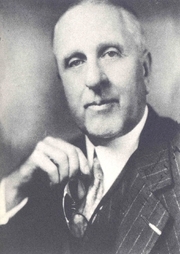 William Dana Orcutt is composed of 6 names. You can examine and separate out names.